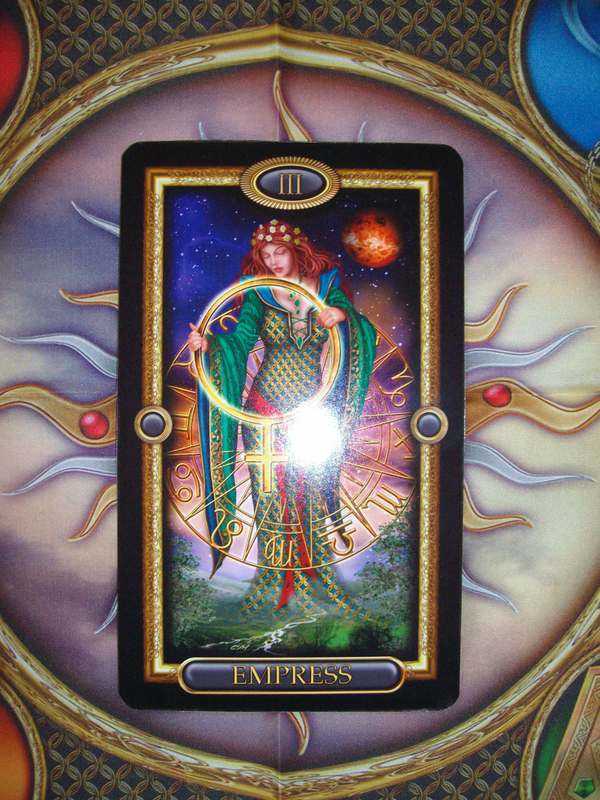 Ever now and then you come across a Tarot deck that makes you fall in love with the Tarot all over again. Ciro Marchetti‘s Gilded Tarot Royale is one such deck. 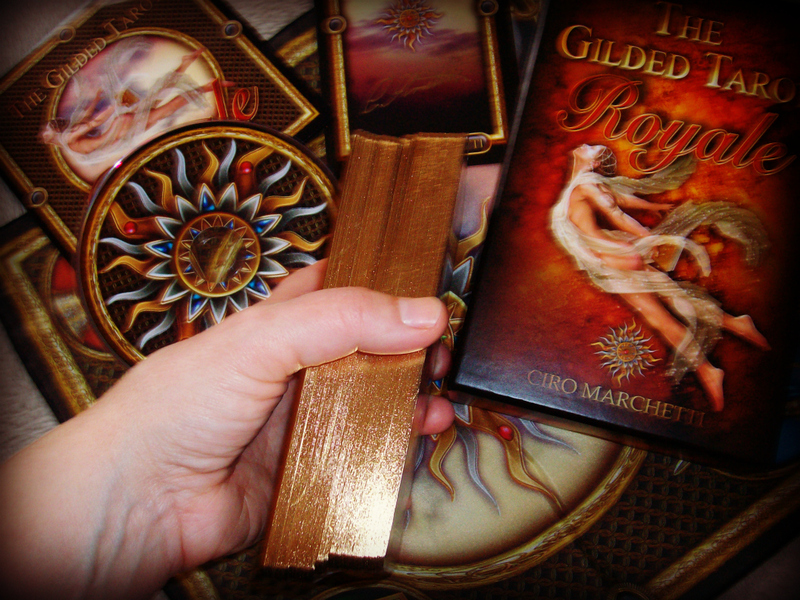 The original Gilded Tarot was one of the first decks I bought for myself when my enchantment with the Rider Waite deck wore off. It was also one of the first decks I gave away to a friend back in 2005. Not because I didn’t like the deck any more but because my friend needed a deck. I’ve since given away another copy of this deck and found myself completely Gilded-less as of last summer. As soon as I heard of Ciro’s remake of the Gilded Tarot, I decided to wait. Judging from the video he posted on YouTube in January this year, I knew this deck was going to be spectacular… It lived up to my expectations and more. The Swords… they’re alive! I have never seen the Swords suit treated with such love before. I ache at the sight of the beauty of the Ace of Swords in the Gilded Tarot Royale! Another thing that sets this deck apart for me is how wonderfully animated Ciro has made the Court Cards. These feel like real people yet retain their archetypal identities perfectly and are therefore completely ideal for the beginner reader as you don’t have to know the astrological correspondences to ‘get’ these courtiers. It’s all in their faces and body language! Well, not so much in the faces of the Knights perhaps, as they’re all wearing helmets… but then the Knights are mostly about the quest anyway. The beautiful Venusian Empress is resting on a backdrop of the silk cloth included in the 200 first copies to be sent out when the deck became available on Ciro’s website the other week. I’ll be using this 12×12 inch cloth for my daily draw every morning from now. I love it! But let’s not keep our guest of honour waiting – Moving right along to the deck interview! Again, sorry about the flash – I included a separate picture of the Wheel below. 1. Describe yourself in three words – 5 of Swords: I have overcome. When the original Gilded Tarot deck was first released it was heavily criticised by know-it-all Tarotists who claimed that my maker didn’t know his stuff. Just look at me know! 2. How would your best friend describe you using only three words? – 4 of Swords: Perfect meditation ally. 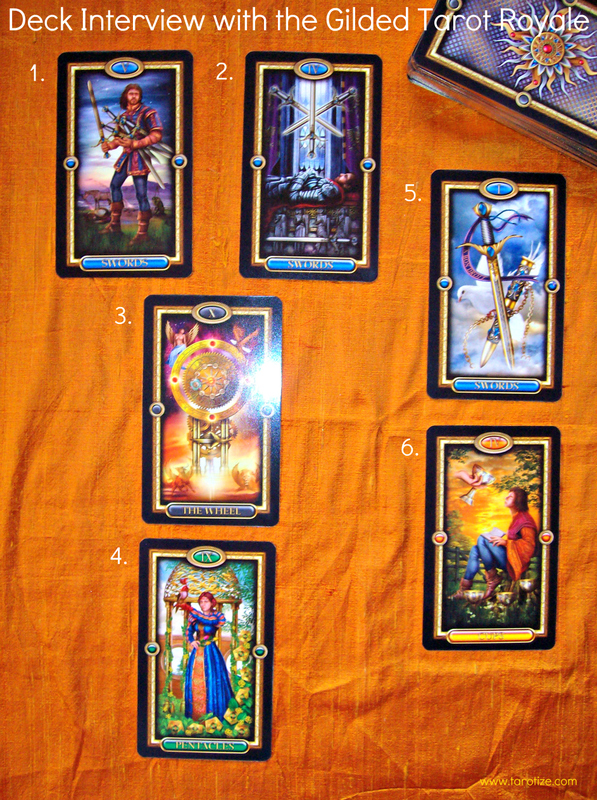 She says the bright colours really draw her in and make it easy to ‘land’ in the archetypal space of each card. 3. What gift do you bring? – The Wheel Fortune: Sorry, did I startle you there? 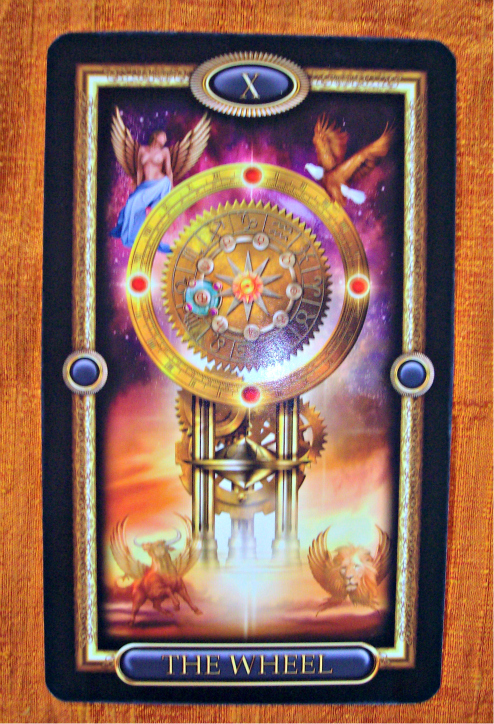 I know you got the Wheel in the exact same position for the Interview you did with the Angel Tarot deck the other day… 🙂 Take this as a message from the Powers That Be that you are currently attracting extraordinary things, people and circumstances into your life. I’d like to pay some small part in that if you let me. 4. What do you expect in return? – 9 of Pentacles: I’m great for attracting prosperity if you are willing to work for it… so basically I expect you to put the hours in, but not to the detriment of your health! I also don’t mind you showing me off on your website. 5. How can you help me serve? – Ace of Swords: I bring great clarity to your readings. I’m perhaps the best tool there is for a dot-connector such as yourself. Did I mention I’m modest too? 6. Is there anything else you would like to tell me about yourself? – 4 of Cups: Feeling blue? Have a play! I guarantee to make you smile or at least feel 42% better… and we all know that 42 is the answer to life, the universe and everything. I really looking forward to my Wheel of Fortune year in 2013 after seeing this picture!